Amgen Scholars is hosted at five premier educational institutions throughout Europe. Each host institution has its own application process. Enrollment at a European institution is required, and you can apply to participate at as many host institutions as you are interested in. * Eligible students must attend colleges or universities in countries that are participating in the European Higher Education Area and Bologna Process. Click here to see a full list of participating countries. A signature component of the summer programme is the symposium where students hear firsthand from leading scientists working in industry and academia. Over the course of the symposium, Scholars have the chance to share their summer research projects with their peers and deepen their understanding of drug discovery and development. Amgen Scholars in the Europe Programme participate in this symposium at the University of Cambridge. The Amgen Scholars Programme provides hundreds of selected undergraduate students with the opportunity to engage in a hands-on research experience at many of the world’s leading educational institutions. The Programme seeks to increase learning and networking opportunities for students committed to pursuing science or engineering careers and to spark the interest and broaden the perspective of students considering scientific careers. Ultimately, the Programme aims to increase the number of students pursuing advanced training and careers in the sciences. * Eligible students must attend colleges or universities in countries that are participating in the European Higher Education Area and Bologna Process. Click here to see a full list of participating countries. Do I need to be a citizen of one of the above European countries to apply to participate in the Amgen Scholars Programme in Europe? If applicable, am I required to obtain the appropriate visas to participate in the Amgen Scholars Programme in Europe? Each student is responsible for acquiring the necessary visas to attend his or her respective summer programme (in England, France, Germany, Sweden, or Switzerland) and the symposium in England. 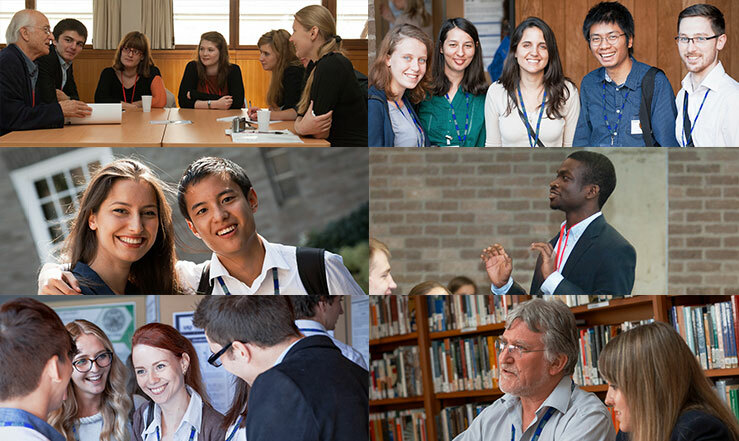 See each institution’s Amgen Scholars Programme website for more information. Can students who are spending only a short period of time – for instance, a semester or a year abroad – at European institutions of higher education apply to participate in the Amgen Scholars Programme in Europe? No. To be eligible, students must be currently enrolled at colleges or universities in Europe and must intend to earn their undergraduate degree at colleges or universities in Europe. Is there one application form for all of the host institutions in Europe? No. Each host institution in Europe has its own application process. Can I apply to more than one host institution in Europe? Yes. You can apply to as many host institutions in Europe as you are interested in, but each host institution does require a separate application. What is the application deadline for host institutions in Europe? In Europe, the application deadline for host institutions is in early February. Are there certain application requirements common to all host institutions in Europe? Yes. The application at each host institution in Europe requires, at a minimum, the submission of an official transcript, a letter of recommendation and a personal statement or essay. Information about applying to each host university is available by following the appropriate links to the host universities’ respective applications. Are the summer programme dates the same for all host institutions in Europe? No. All host institutions require a full-time commitment for eight to 10 weeks, with the programmes in Europe usually beginning in June or July and ending in August or September. The different starting and ending dates should help accommodate applicants’ varying school schedules. Note that most host institutions do not have flexibility with regard to the summer programme dates, but see each institution’s Amgen Scholars Programme website for more information. What is the expected number of Amgen Scholars participating annually at each host institution and in total in Europe? Each host institution in Europe will have approximately 15 Amgen Scholars each summer. With five host institutions in Europe, it is expected that there will be approximately 75 Amgen Scholars in Europe each summer. Do I need to attend the ETH Zürich, Institut Pasteur, Karolinska Institute, LMU Munich, or the University of Cambridge – or a college or university in Switzerland, Sweden, France, Germany or the UK – during the academic year to apply to the Amgen Scholars Programme in Europe? No. Eligible students enrolled at colleges and universities throughout Europe may apply. Note that eligible students must attend colleges or university in a country that is participating in the European Higher Education Area and Bologna Process. Click here to view the participating countries. What about housing, food and travel expenses to and from the summer programme in Europe? Financial support is a critical component of the Amgen Scholars Programme. Please note that details vary by host institution. See each institution’s Amgen Scholars Programme website for more information. Will there be an opportunity to meet Amgen Scholars participating in the Europe Programme at other host institutions, and to learn more about biotechnology and drug discovery and development? Yes. In September, each Amgen Scholar in Europe attends a symposium to hear firsthand from leading scientists working in industry and academia. The symposium is held in England at the University of Cambridge, and provides students with a valuable opportunity to network with other Amgen Scholars from across Europe. Is the cost of travel to and from the September symposium, as well as room and board at the symposium, covered by the Programme? Yes. Though it is expected that the majority of Amgen Scholars will have science or engineering as the main subject area of their degrees, students in any subject area may apply. No. The Amgen Scholars Programme encourages applications from both students experienced in research and newcomers to the field. For students who attend colleges and universities that have limited opportunities for students to conduct research, the Programme is a great way to gain such experience. Note that the terminology used to define research disciplines may vary across universities and countries. Please see each institution’s Amgen Scholars Programme website for more information. When will I find out whether I've been accepted into the Programme in Europe? Applicants to host institutions in Europe should be notified by early April. No. Students are invited to participate as an Amgen Scholar for one summer only. This ensures that each summer a new cohort of 75 Amgen Scholars in Europe will have the opportunity to benefit from this type of hands-on research experience. No. Students are invited to apply to participate as an Amgen Scholar at colleges or universities in either the U.S., Europe, Australia, or Canada, primarily based on where they are currently enrolled and intend to receive their undergraduate degrees. See the Eligibility sections of this website for further details and information. Can I apply to participate as an Amgen Scholar in both Europe and Asia? Yes. The Asia Programme is open to undergraduates worldwide, so students eligible to apply to the Europe (or U.S., Australia, or Canada) Programme may indeed be eligible to apply for the Asia Programme as well. See the Eligibility sections of this website for further details and information.